The American Association of Critical-Care Nurses (AACN) offers the Progressive Care Certified Nurse (PCCN) examination for certification purposes. A nurse who possesses this certification can have a career in areas such as: intermediate care, direct observation, stepdown, telemetry, transitional care or emergency. The certification is valid all over the country. The criterion-referenced, computer-based PCCN test lasts 2½ hours and includes 125 multiple-choice questions. On the test, 100 questions are used for the raw score, while the remaining 25 are used for pre-trial purposes. These 25 will be on future exams. Candidates will not know which questions are scored and which are not. Paper and pencil versions of the test are also available in certain locations. The test is based on the information that one would need to know in order to care for a fully-grown person who is acutely and/or critically ill. Candidates must meet certain eligibility requirements prior to taking this PCCN exam, including effectively finishing courses for certification purposes, having an unrestricted RN or APRN license, and having sufficient clinical practice hours to be fully experienced in progressive care. Candidates will need documentation of your experience. The outcome of the test will be given as pass or fail. A candidate’s raw score will be scaled with the Angoff method. Since the score is based on the number of questions answered correctly, it is better to guess rather than leaving it blank. If a candidate passes, he or she may use the acronym PCCN after his or her name as long as the certification is valid and updated. 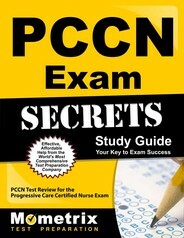 How to pass the PCCN Exam! 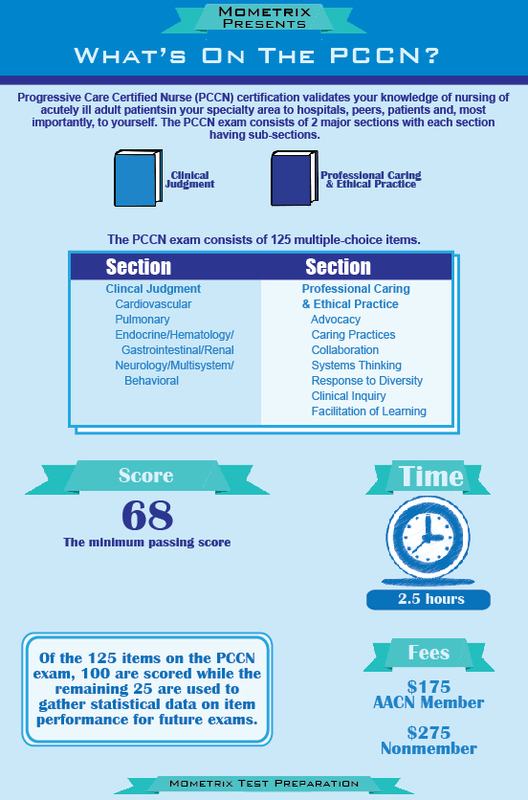 Ace the PCCN test using our PCCN exam study guide with practice questions. 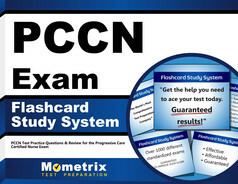 Quickly Solve Difficult PCCN Test Questions with the PCCN Flashcard Study System.